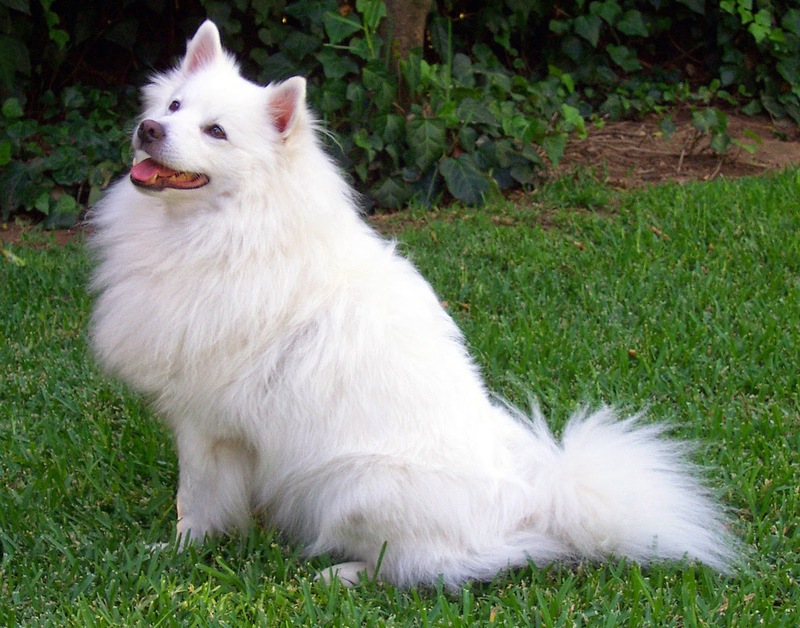 The Standard American Eskimo Dog is an intelligent, energetic, playful, and affectionate companion dog. They are excellent watchdogs, and take their watchdog duties very seriously. They are naturally protective of their homes and families. They are wary of strangers and will bark to announce their arrival. However, sometimes Eskies get carried away with their barking. The Eskie can be a dominant breed and needs obedience training early. These are independent-thinking problem solvers, yet they are surprisingly easy to train. They want to please their owners and thrive on their praise. They quickly master tasks and tricks and do very well in obedience work. The Eskie's understanding of human words and tone is commendable, and many Eskie owners claim that their dogs talk to them. But just as quickly as they learn, they can also become bored. And a bored Eskie can become noisy, mischievous, and destructive. They are avid chewers and have been accused of being stubborn and ornery. They need daily exercise and enjoy hiking and jogging. They especially love to play in the snow and will do so for hours if you let them. They love to roughhouse and play games. They are gentle and playful with children, especially if introduced to them when young. They also do well with other dogs and with cats. However, they will chase rodents, birds, and other small pets. The Eskie thrives on human company and will want to be part of everything you do. These constant companions have even been called nosey, they investigate everything. If they feel left out of the family, they will misbehave. They don't like to be left alone for long periods of time, and will make sure you hear about it. They want to be the center of attention and if you oblige, they will shower you with kisses. The Eskie is an active dog when young, and as they age, they become more mellow and affectionate.